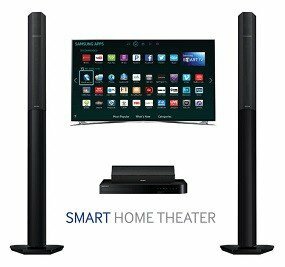 The Samsung Smart Home Theater System not only brings you incredible the full-bodied, warm sound of vacuum tubes, it enhances your entertainment options with smart apps, 3D Blu-ray playback, UHD Upscaling, and wireless connectivity for your mobile devices. 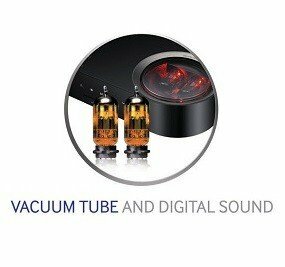 Experience natural sound with the combination of Vacuum Tubes and digital audio. Vacuum Tubes bring warmth to the crisp digital sound. 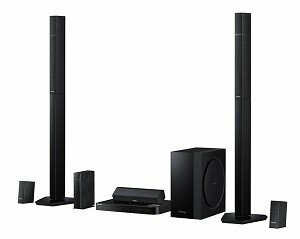 For Smart Home Theaters, playing movies is only the beginning. With instant access to subscription services like Netflx and YouTube, you can easily have an impromtu movie night. 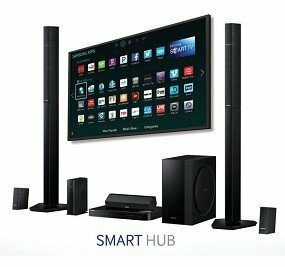 It also features the full Smart Hub. 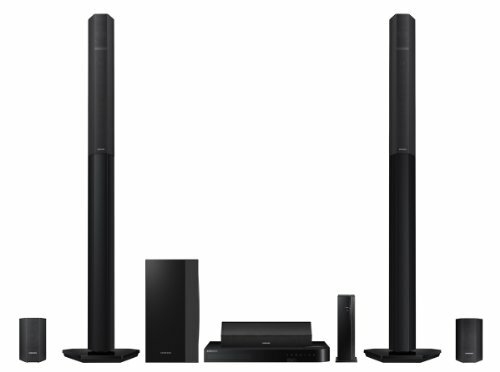 The intuitive Samsung Smart Hub is the quickest and simplest way to enjoy your favorite content. Explore movies, shows, apps and more in one easy-to-browse hub. Find content quickly with simple navigation and superior organization. Experience jaw-dropping Full HD reality in both 2D and 3D. 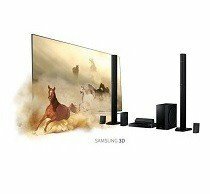 * Enjoy the latest Hollywood 3D titles and watch as your favorite characters practically leap off the screen when you pair this Blu-ray player with a 3D TV* and 3D active glasses. 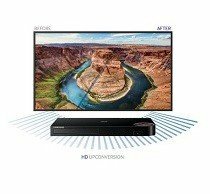 With HD Upconversion, non-HD video is auto-enhanced to bring you near-HD quality. You'll see your favorite titles with greater detail and clarity that you've never seen before. 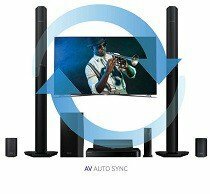 Sound and video always match with Auto AV Sync. 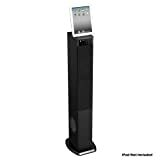 It automatically adjusts the sound timing so you'll never experience a lag that offsets mouth movements and voice audio. 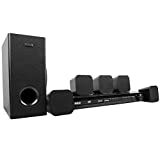 Wireless Rear Speakers — Connect the main module and rear channel wirelessly to experience dynamic surround sound.